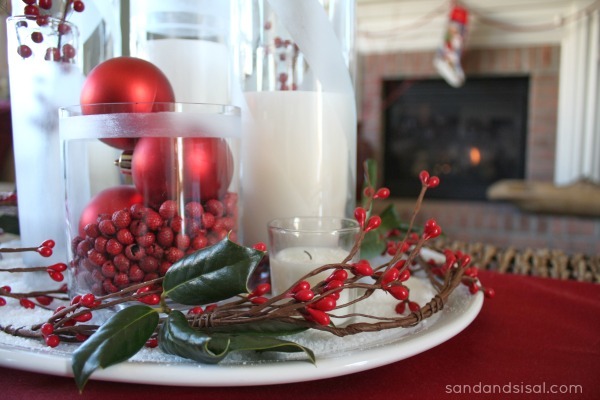 Want a to give a gift that is personal and homemade? You seriously need to try your hand at glass etching! I’ve created countless etched vases over the past 2 decades and I’m telling you, it is so simple and the possibilities of designs is only limited to your imagination! 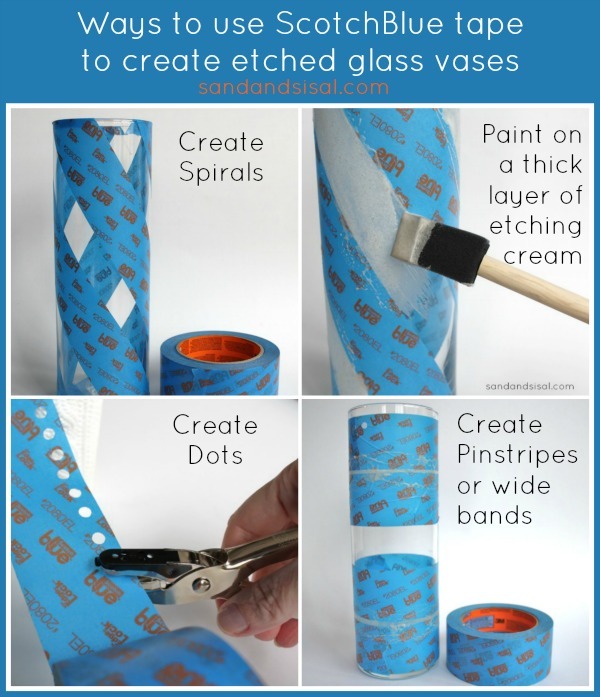 Today I want to show you how to make Easy Etched Glass Vases using ScotchBlue™ Painter’s Tape to create your designs. 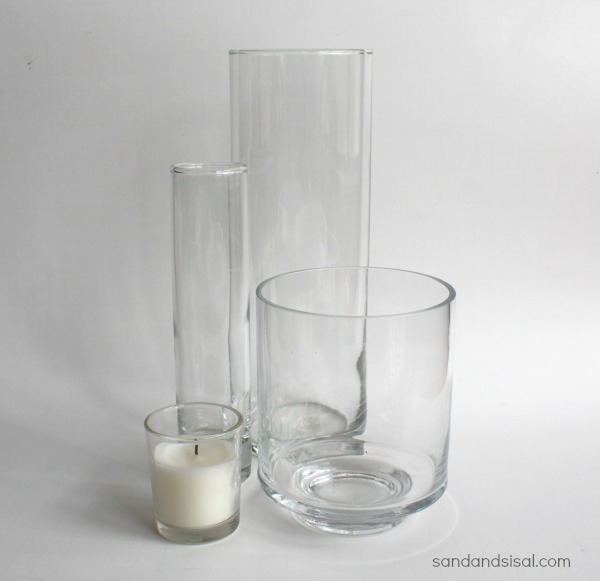 These easy etched glass vases can be used all year round as flower vases or as hurricanes for candles. Armour Etch Cream, 10-Ounce (I’ve had one bottle for 15 years! A little goes a long way and is worth the investment). 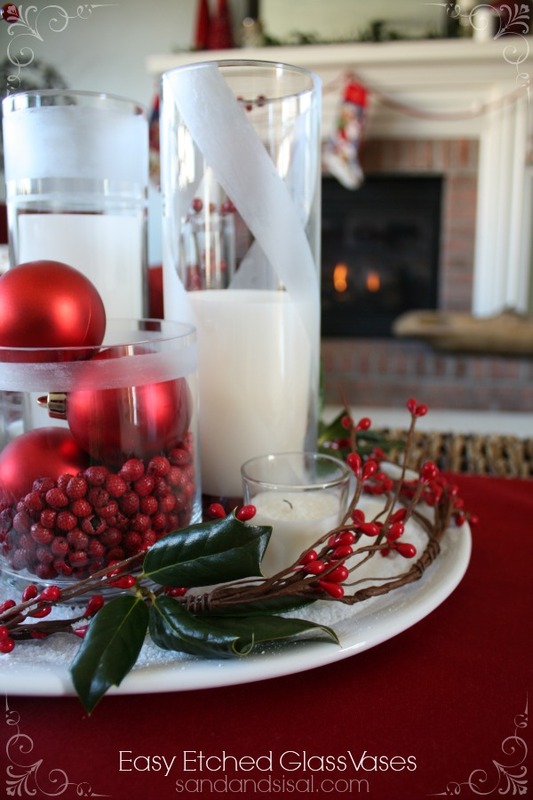 Step 1: Clean the outside of your glass with hot water and soap and then rubbing alcohol. 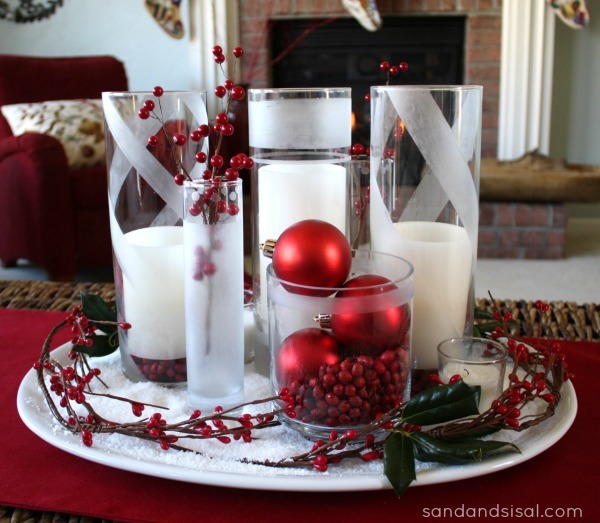 Step 2: Decide how you want each vase to look. I chose spirals for some, big and tiny bands, and polka-dot trim for others. Step 3: Apply the tape, making sure the edges are smooth and sealed well. Then paint on a THICK & EVEN LAYER of etching cream. (Be sure to ALWAYS follow the etching cream’s manufactures instructions!). Step 4: Await the allotted time and rinse the vase under warm water, rubbing gently. 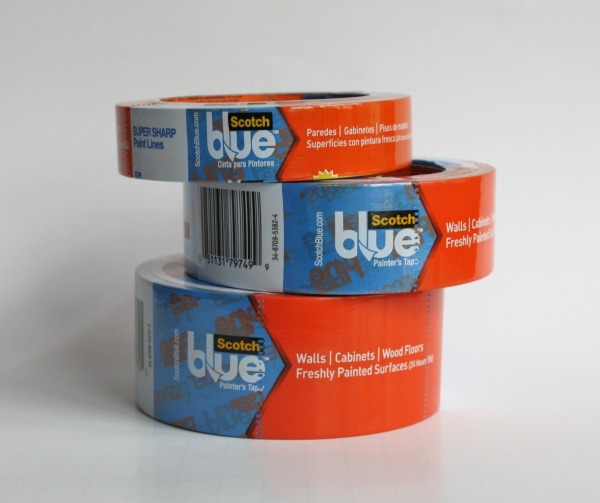 Remove tape and wash again. Repeat with more designs if desired. That’s all there is to it! 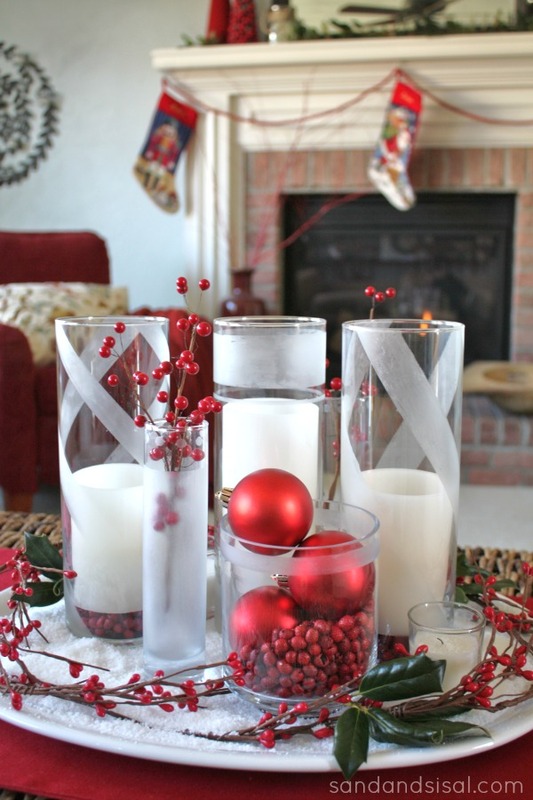 It’s so simple and these vases can be used all year round! 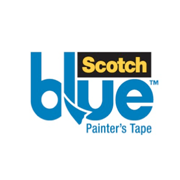 Check out all these other projects I’ve done using ScotchBlue™ Painter’s Tape ! I absolutely love these, especially the peppermint-striped ones! 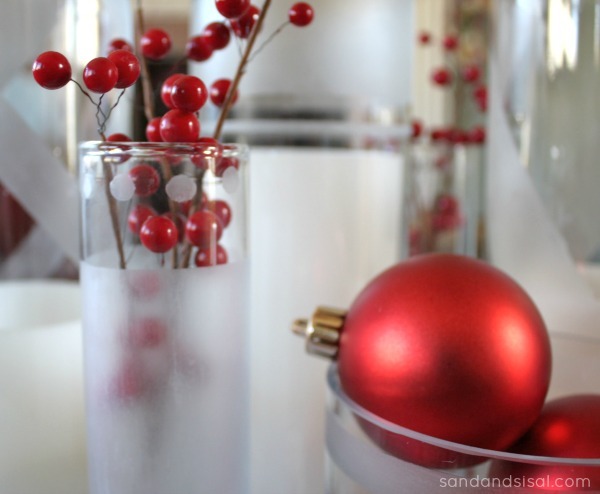 Your home looks so beautifully festive! Love these Kim! The hole punch idea was genius! I really like how crisp and clean the lines are when using the tape. great job! what a great idea and I think they look fantabulous!